Take a look at my Stephen King Store! Ladies and gentleman, boys and girls, the Stephen King Store is now open! Come and take a look at my latest project! It’s been a while since I last posted here on my blog and that’s because I have been working a new project. I actually set up stephenkingstore.com quite some time ago, but I got distracted by other writing projects, so it got left, languishing in the world of the internet doing nothing, or so I thought. I had noticed that I was getting small amounts of revenue from the site on Google AdSense, but I really didn’t pay a lot of attention until, that was, I checked out where the traffic was coming from and I discovered that my little Stephen King shop was sitting at the number 2 spot on Google for Stephen King T Shirts. I really wish I could tell you what amazing SEO trick I used to get it ranked so high, but to be honest, I don’t have a clue why a modest little website with so little content on it even got noticed by the mighty Google. So, for the past few weeks, I have been frantically populating the site with Amazon ads for Stephen King books, gifts, T-shirts and other merchandise and, lo and behold, it is starting to make money! I have been a Stephen King fan for many years and I read my first Stephen King book when I was in my teens. I’m not one of those who will rush down the bookstore to buy every latest Stephen King book, but when I do buy a book, I will check out the Stephen King books first. His books aren’t all about vampires, ghouls and werewolves, he has written coming of age books, crime thrillers, and his latest series of books, The Bill Hodges Trilogy, only gets into the supernatural in the final instalment, End of Watch. Personally, I love the way that Stephen King writes and the wonderful way he brings his characters to life. The horror is almost incidental and it’s never overly graphic anyway. It’s the way that the characters deal with the horror that makes the books so enthralling and the way that King lets you into the character’s minds. 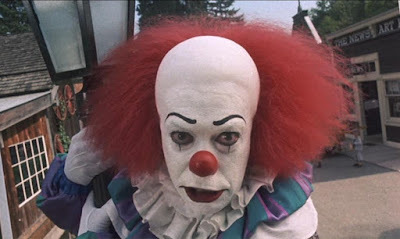 I’ve always thought that the best horror books and movies are those that let your imagination picture the most horrific parts, and that’s what Stephen King books do. So, if you are a Stephen King fan or you are looking to buy a gift for a Stephen King fan, check out the Stephen King Store today! It’s got everything from the latest Stephen King books, to things like Stephen King T shirts and fridge magnets! I suppose the morale of this tale is; if you have a good idea, don’t give up on it too soon! Get your Stephen King books, gifts and merchandise here folks!